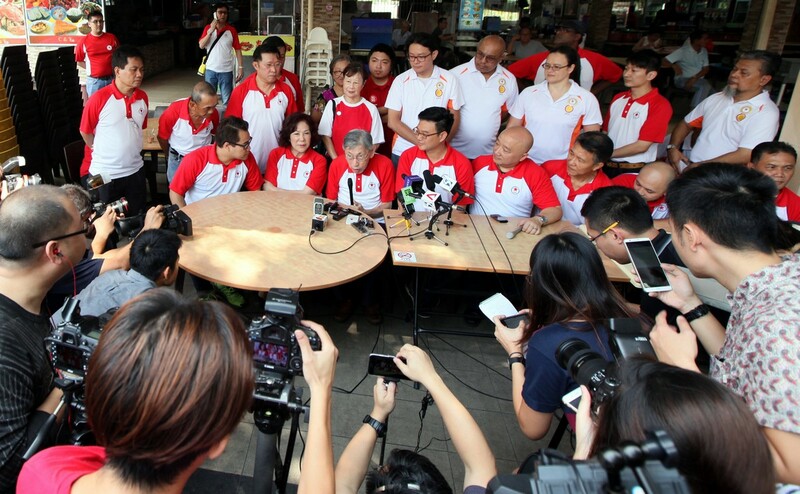 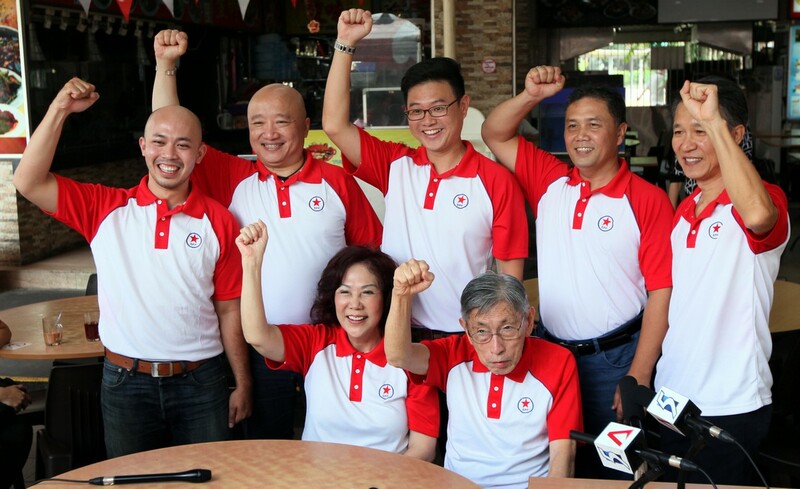 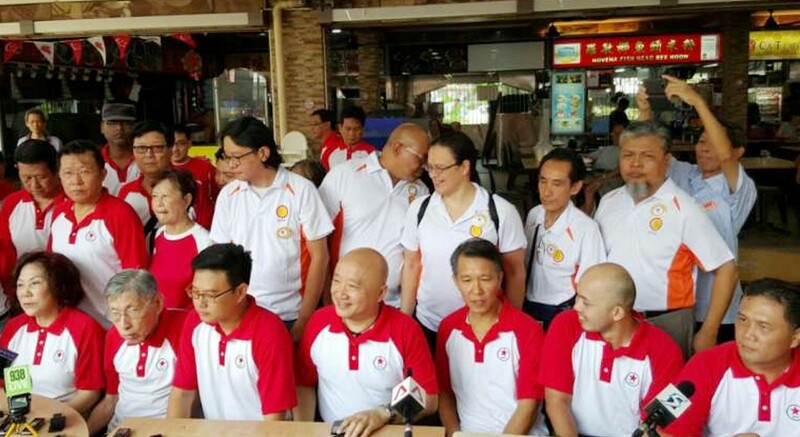 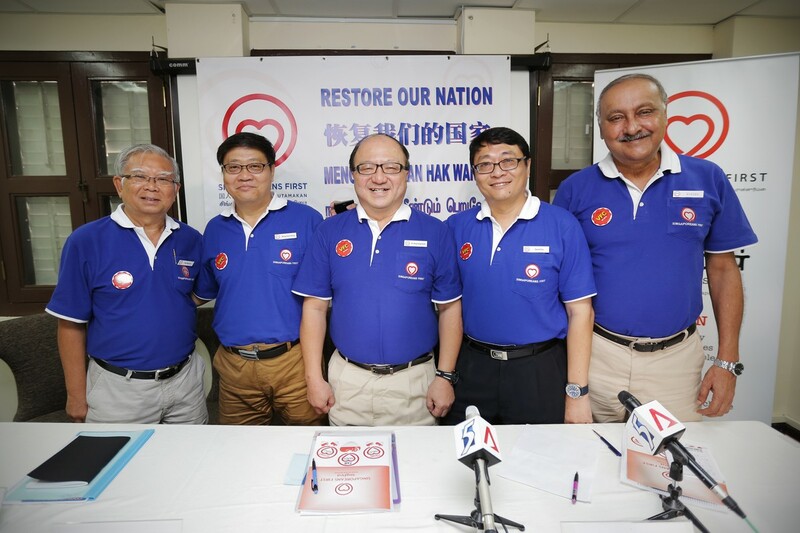 From left to right: Workers' Party (WP) new candidates, Dylan Ng and Koh Choong Yong, WP chief, Mr Low Thia Kiang (third from left), WP chairman Ms Sylvia Lim (fourth from left) and the other two new candidates Daniel Goh (second from right) and Redzwan Hafidz Abdul Razak (right), at the party's first session of introductions of their new candidates. 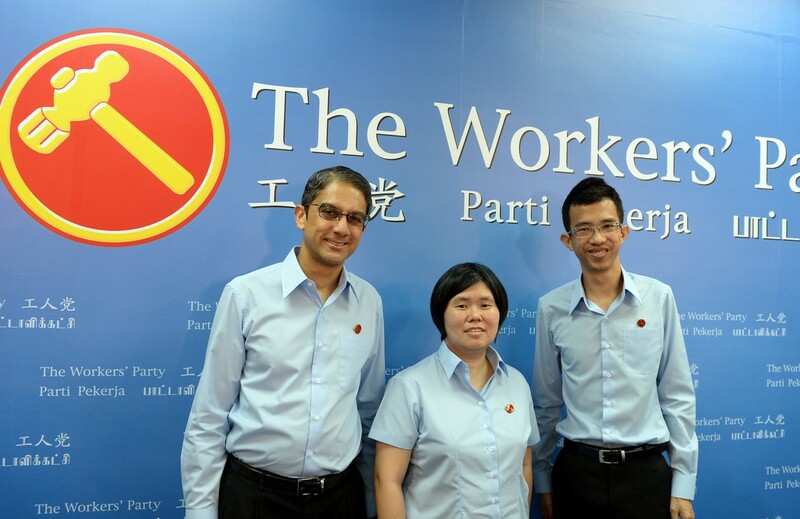 Singapore should move towards a direction where the Government does not "infiltrate every aspect of life", starting by having fewer government representatives in sports, business and professional groups, said Workers' Party (WP) chairman Sylvia Lim. 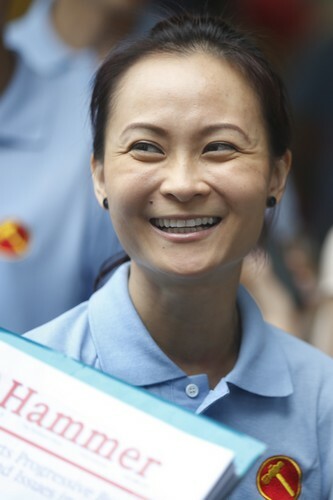 She said there is sufficient talent in the private sector who can steer these movements without government representatives at their helm. 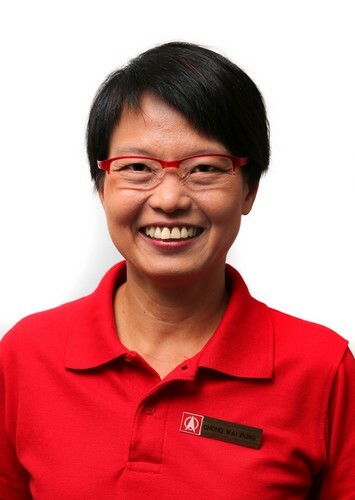 "So this is the direction in which we think Singapore should move," said Ms Lim at the WP's candidate introductions yesterday. 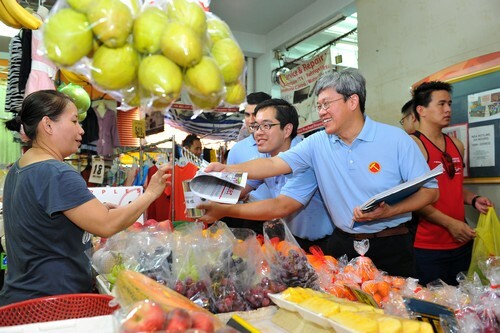 She was making the point that people should be given more opportunities to run things themselves, which is in line with the party's slogan for the Sept 11 elections: "Empower Your Future". 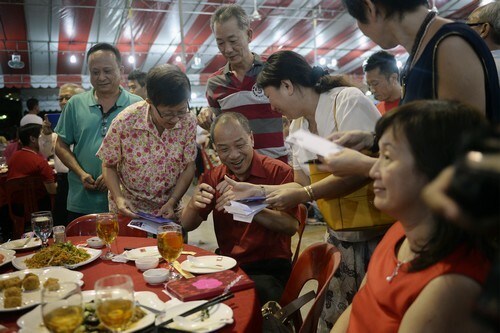 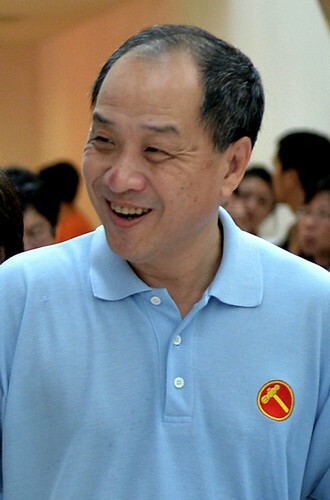 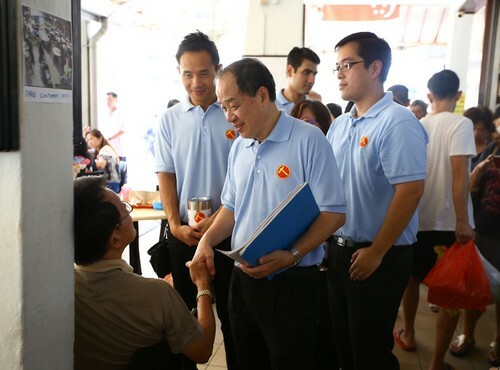 In explaining the slogan on Wednesday when introducing the first round of candidates, WP chief Low Thia Khiang urged voters to think whether Singapore should continue with a model "where the political leaders cast a long shadow over every aspect of life". 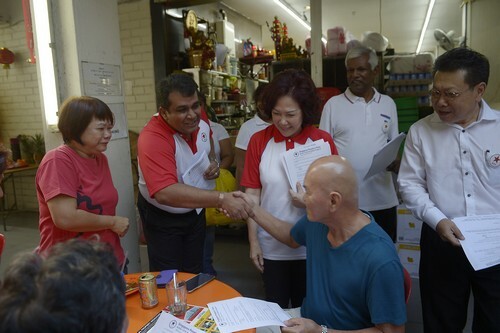 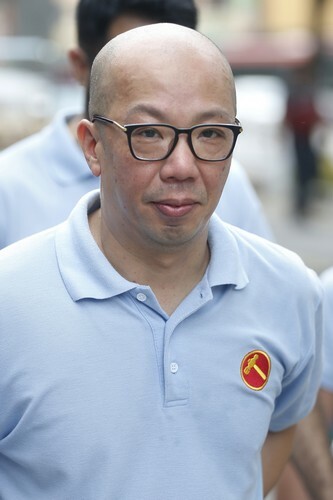 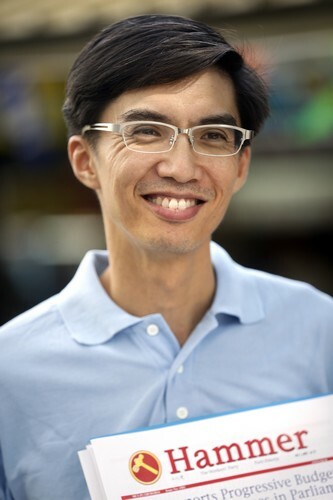 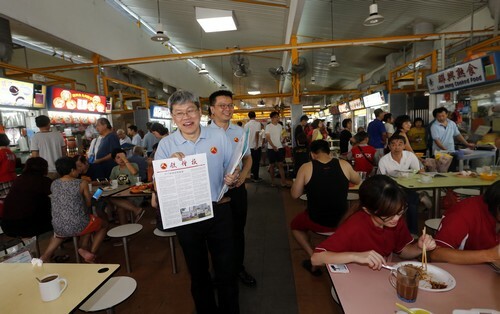 Singaporeans could also have an empowered future by entrenching the opposition presence as it would make the Government more responsive, said Mr Low, adding that voters have "made the Government work" after voting in seven elected WP MPs since the 2011 polls. 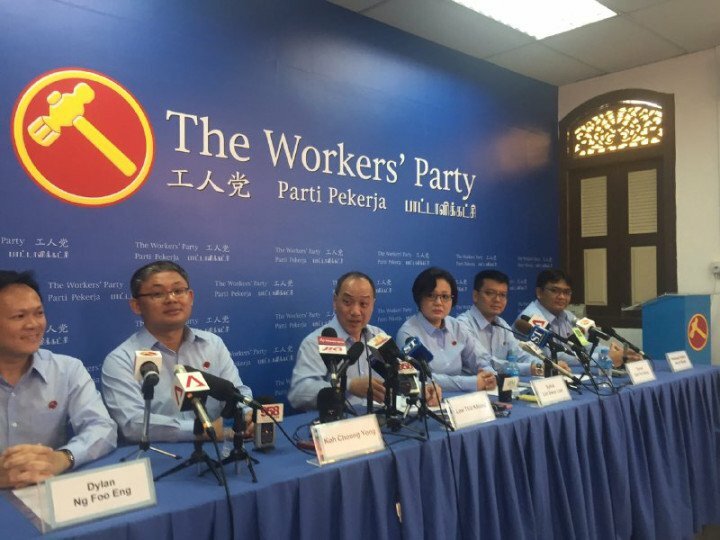 The WP has criticised the People's Association in the past for appointing candidates from the People's Action Party as grassroots advisers. 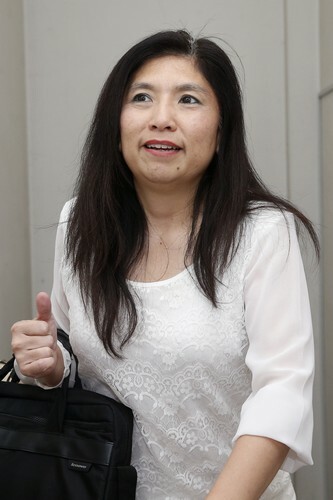 But the ruling party defended the practice, saying the adviser must be expected to work with the Government. 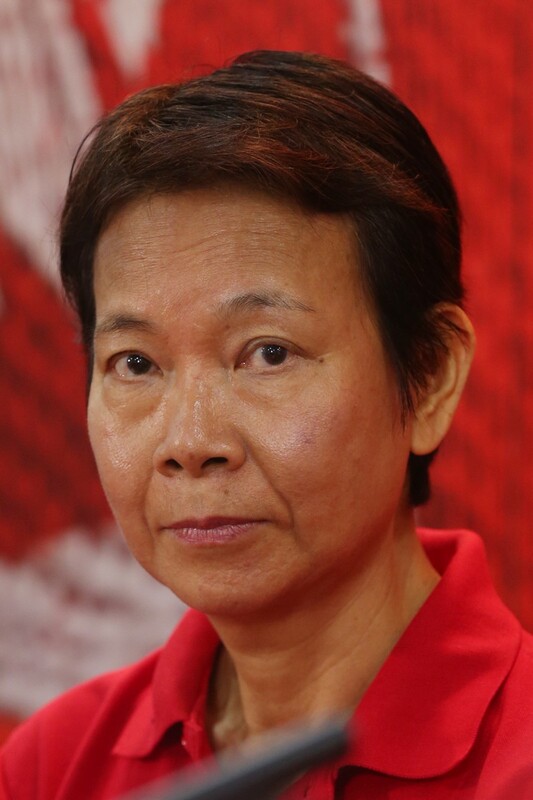 Yesterday, Ms Lim, when asked if there is a contradiction in asking the Government to be more responsive and yet withdraw its presence in certain segments of society, said responsiveness does not mean "infiltrating every aspect of life". 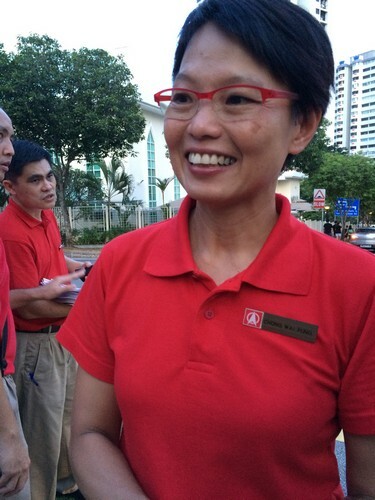 Instead, the Government's responsiveness stems from the signals that Singaporeans send through their votes, she added. 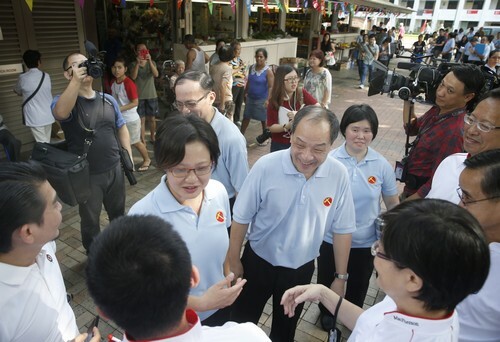 "They do introspection after election results which they find not too favourable to themselves. 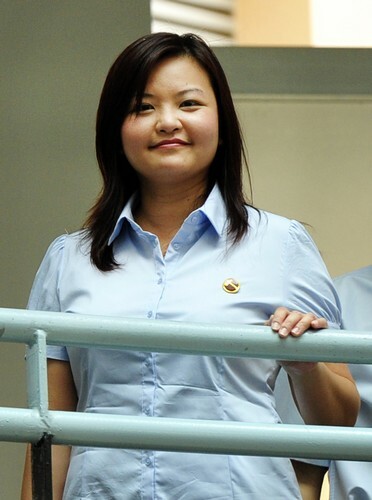 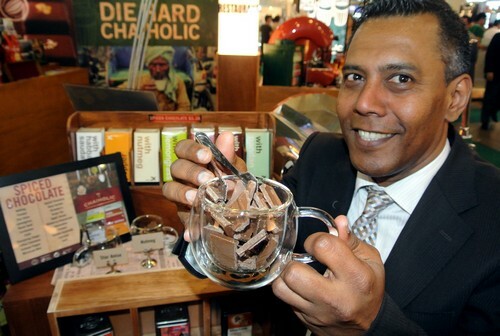 So that's one way in which the people are empowered to negotiate with the Government," she said. 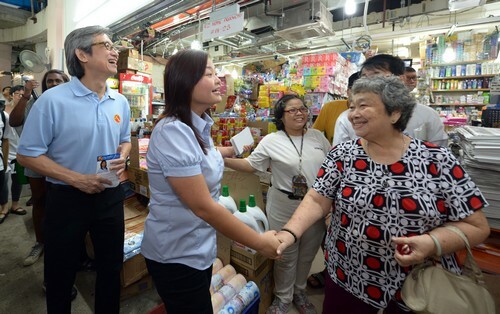 Ms Lim also elaborated on how an entrenched opposition presence in Parliament will help Singapore better cope with changes in the domestic and external environments. 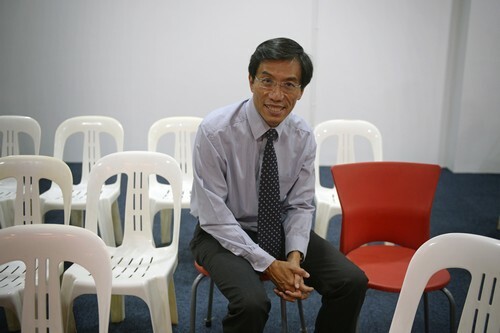 "Even the Government admits that they don't have the answers to everything. 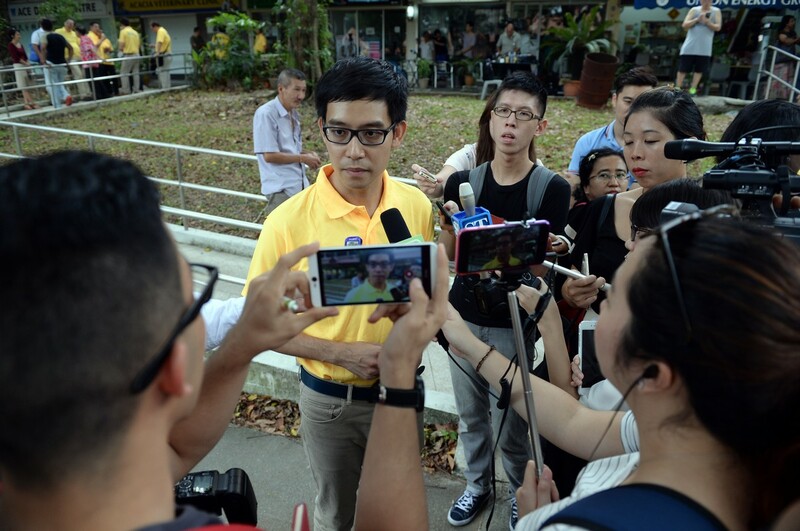 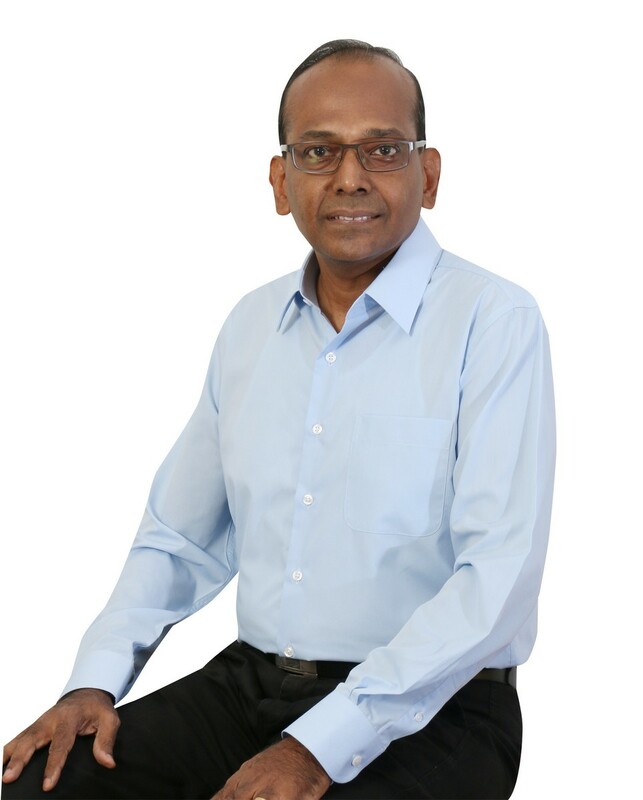 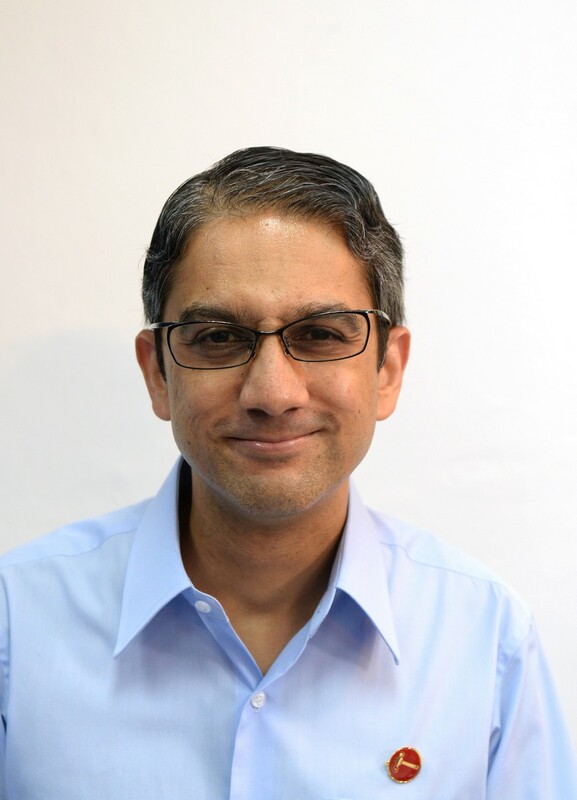 So the question will be whether Singaporeans will be better served by a ruling party that is very powerful or another model." 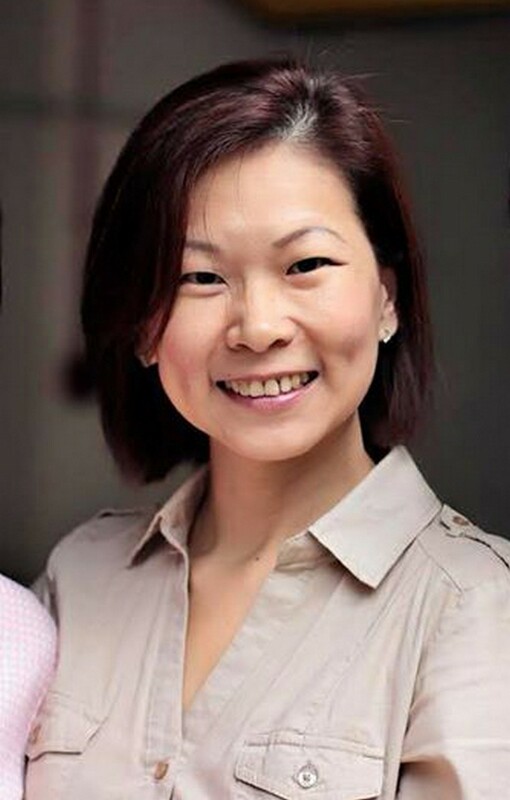 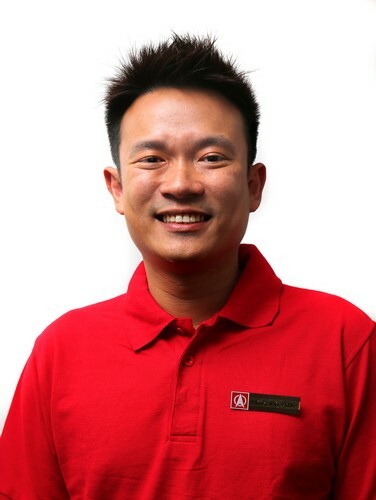 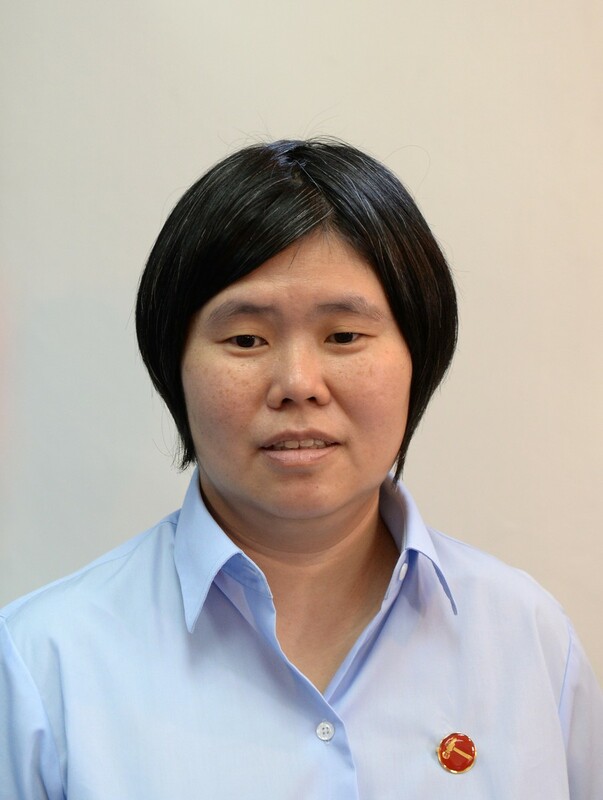 Four new faces were introduced yesterday: Mr Terence Tan, 44, a lawyer; Ms Cheryl Denise Loh, 31, a sales consultant; Mr Firuz Khan, 48, a chocolate factory owner; and Mr Luke Koh, 41, a managing partner of a private investment business. 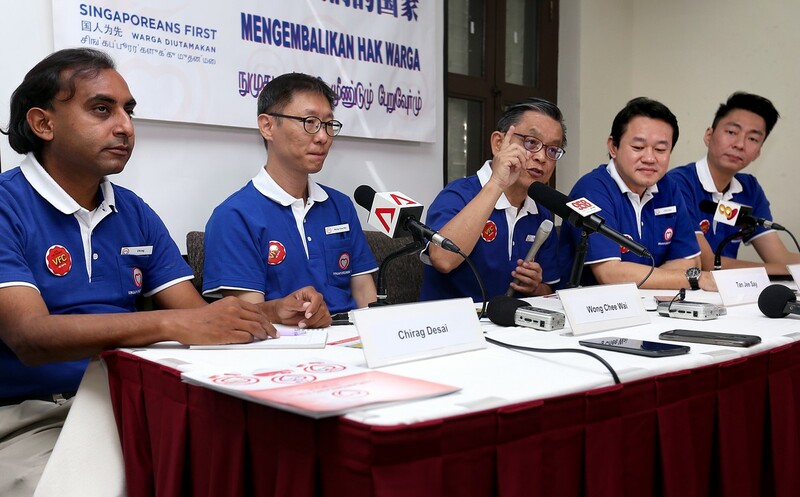 Mr Firuz and Mr Tan were asked how they could connect with residents and understand their concerns, given that they had spent years studying and working overseas. 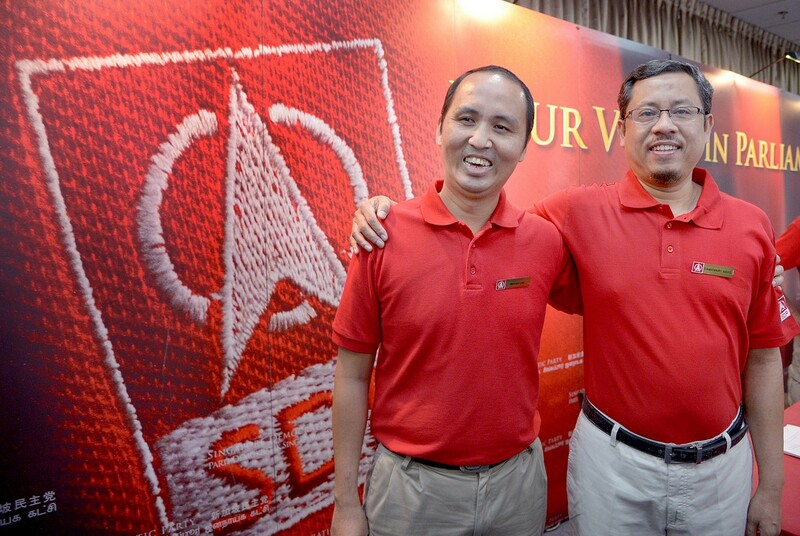 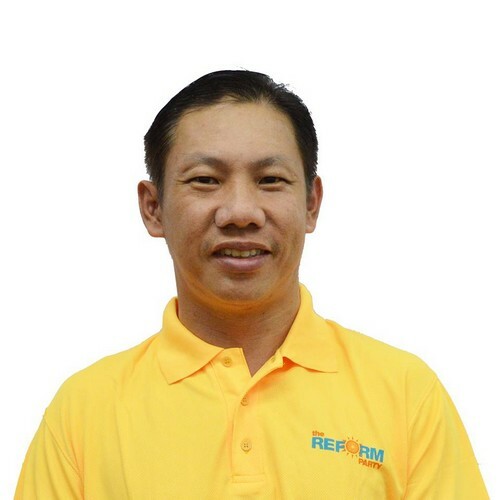 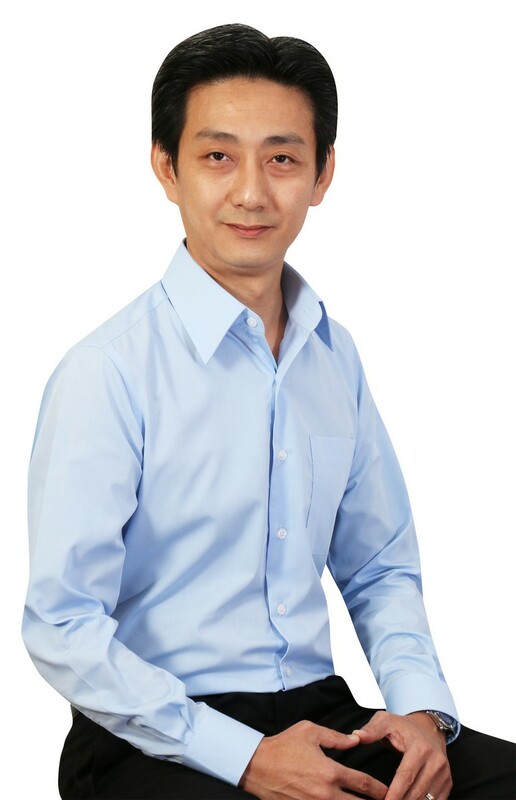 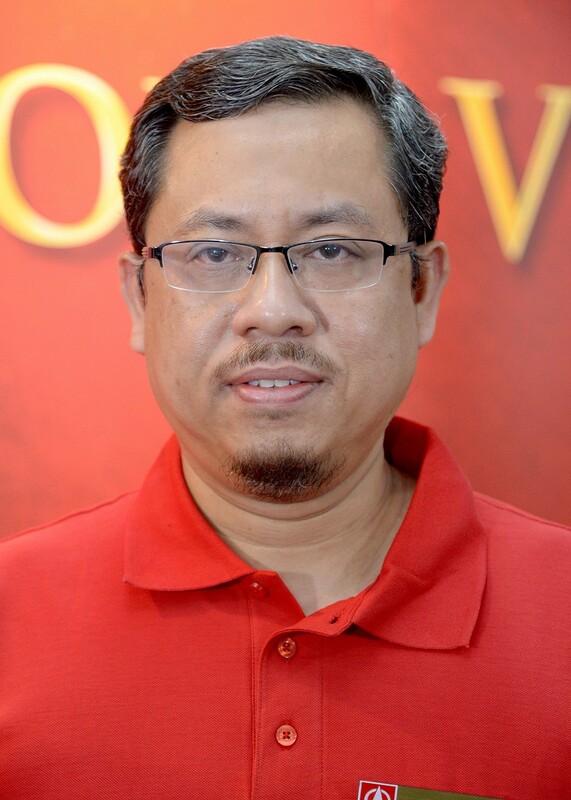 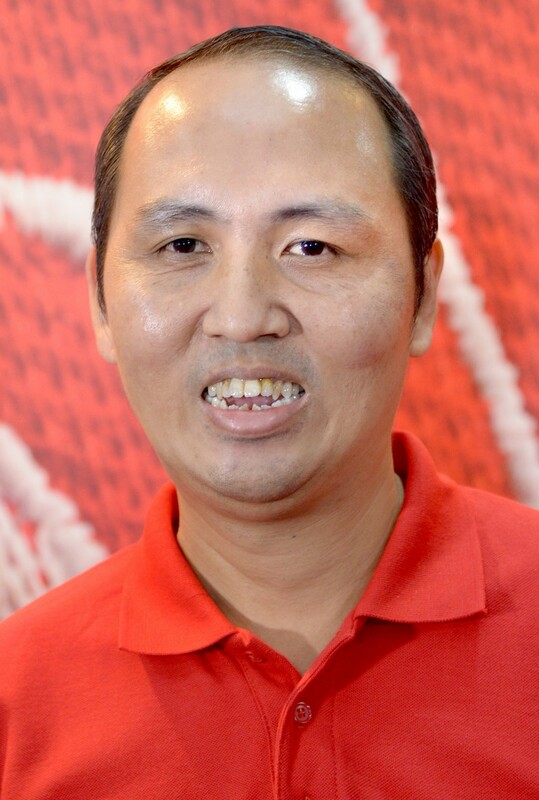 Mr Tan had spent 2003 to 2011 in Thailand and Malaysia, while Mr Firuz was based in Britain from 2007 to 2010. 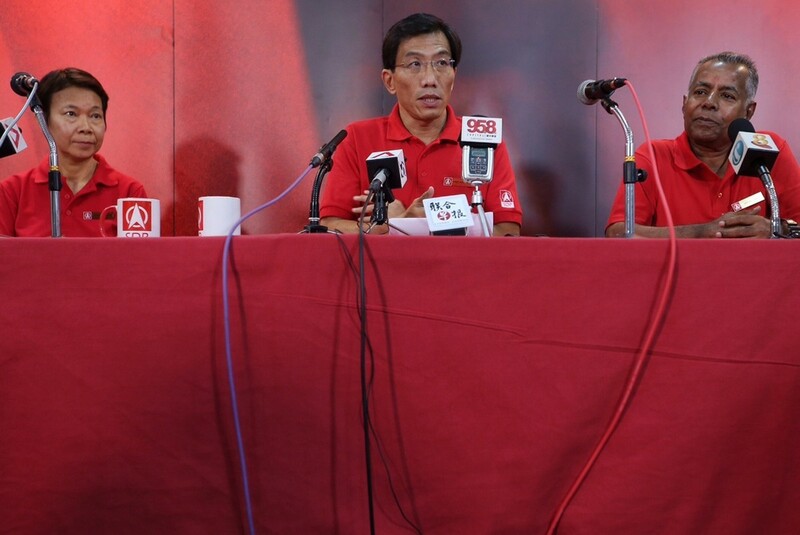 But both men insisted that they never felt disconnected from Singapore. 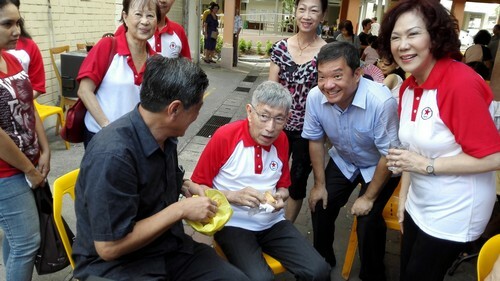 Mr Tan said he came back to see his parents every weekend. 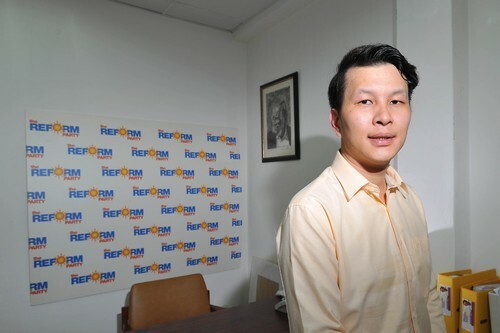 "I'm very rooted here. 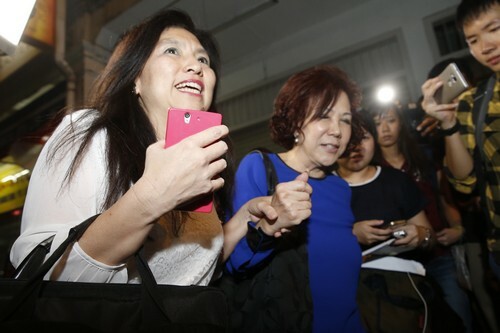 My family are here. 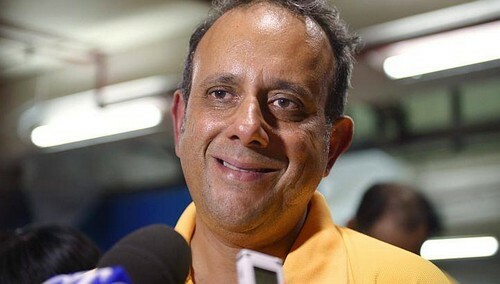 My friends are here." 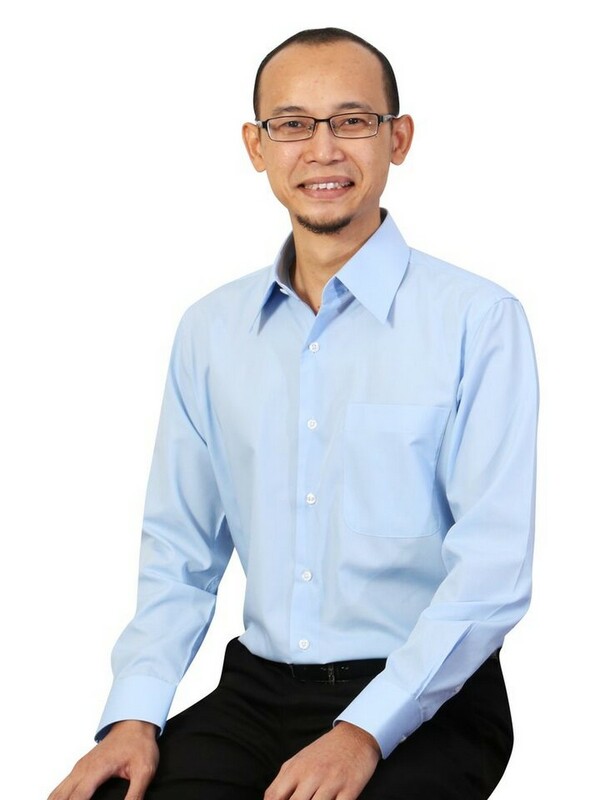 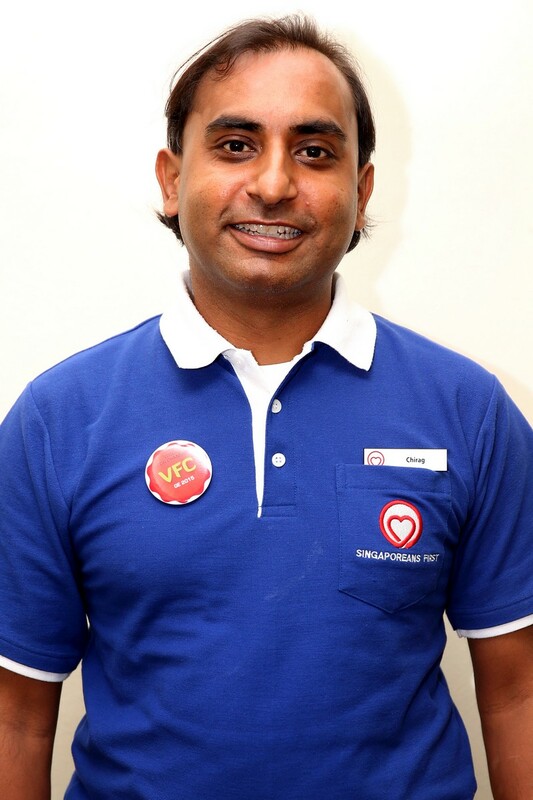 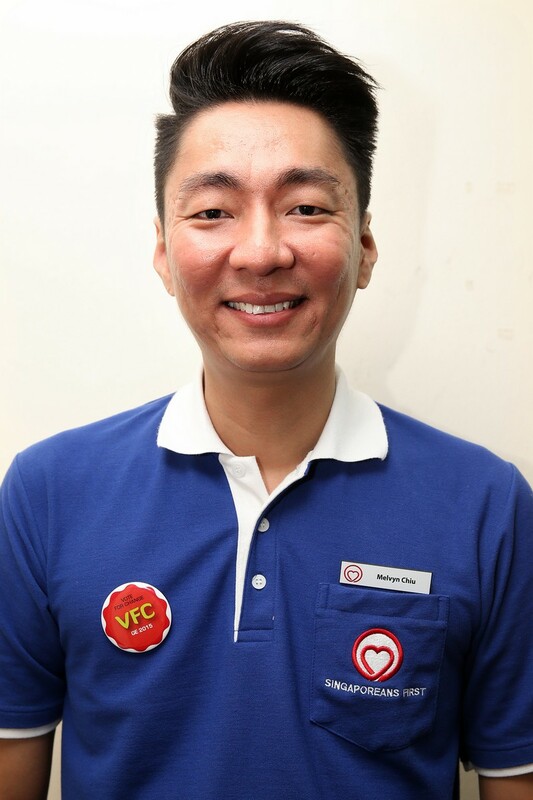 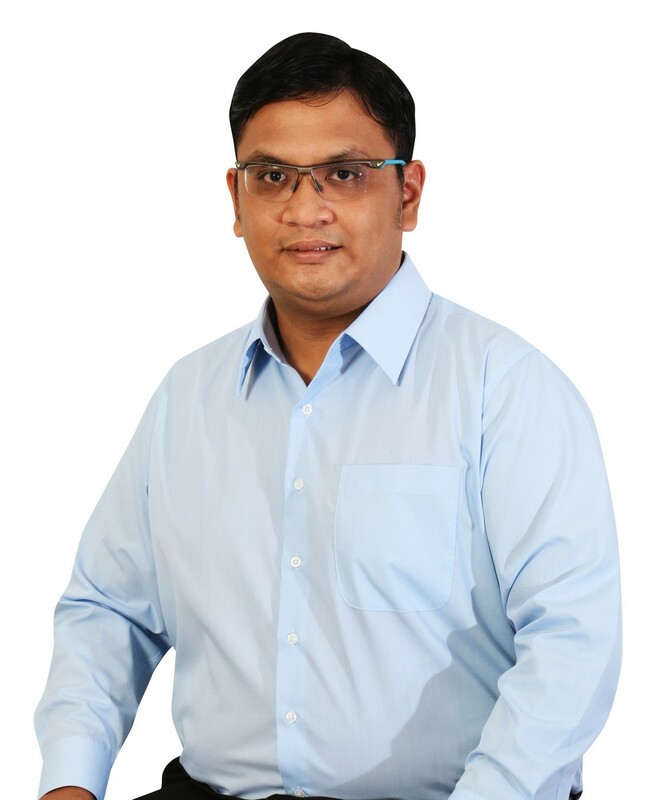 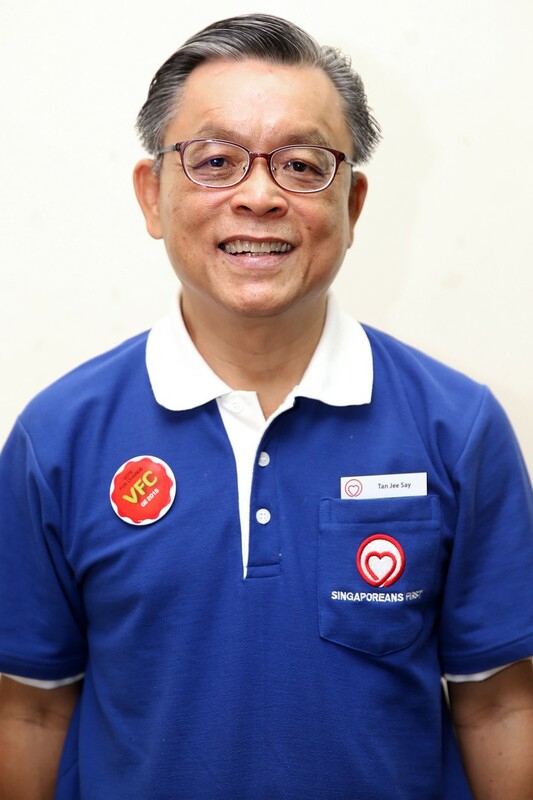 Mr Firuz said he made an effort to speak to Singaporeans he met while in Britain and also returned frequently to Singapore to help out at WP activities during his time here. 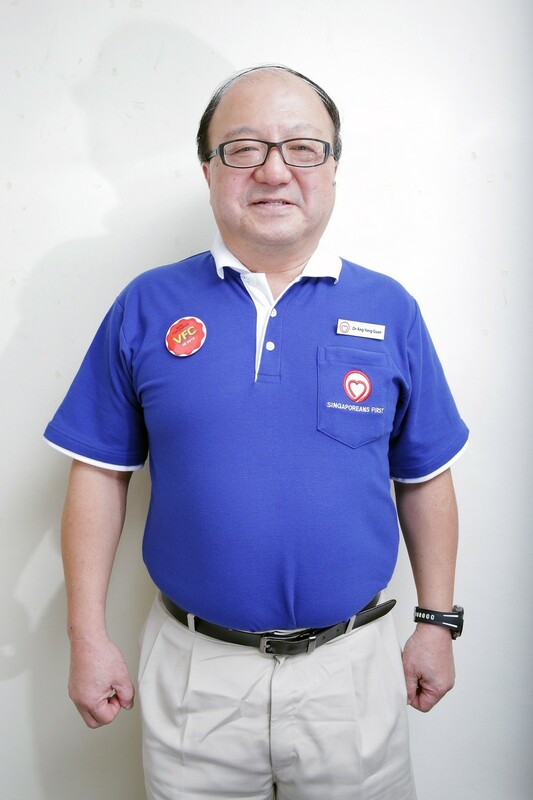 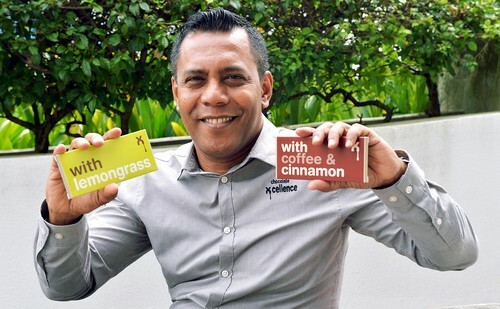 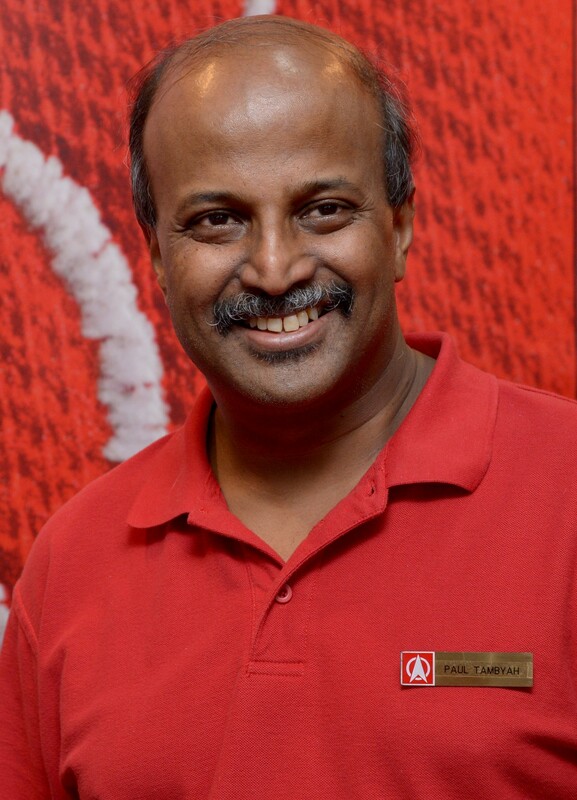 "In Aljunied, a lot of people recognise me and when I walk past them, they always come and greet us and invite us to have coffee with them." 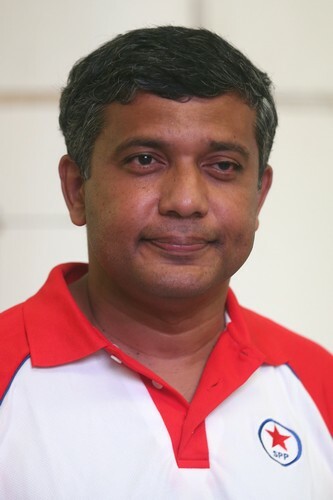 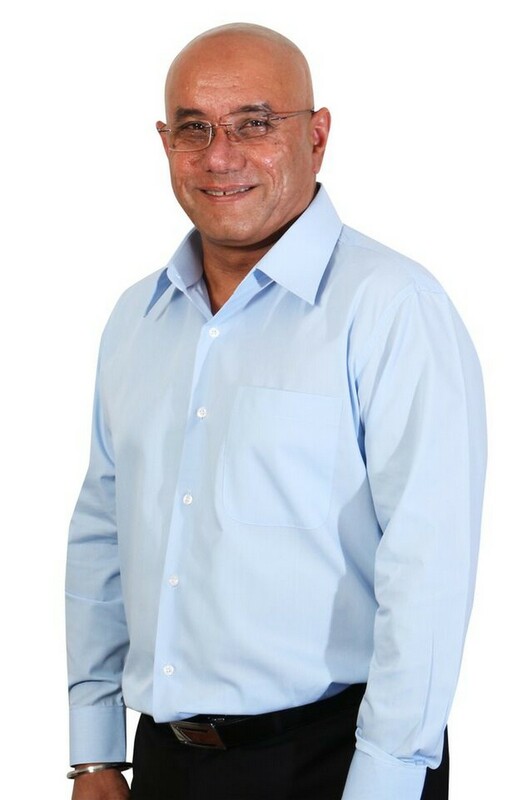 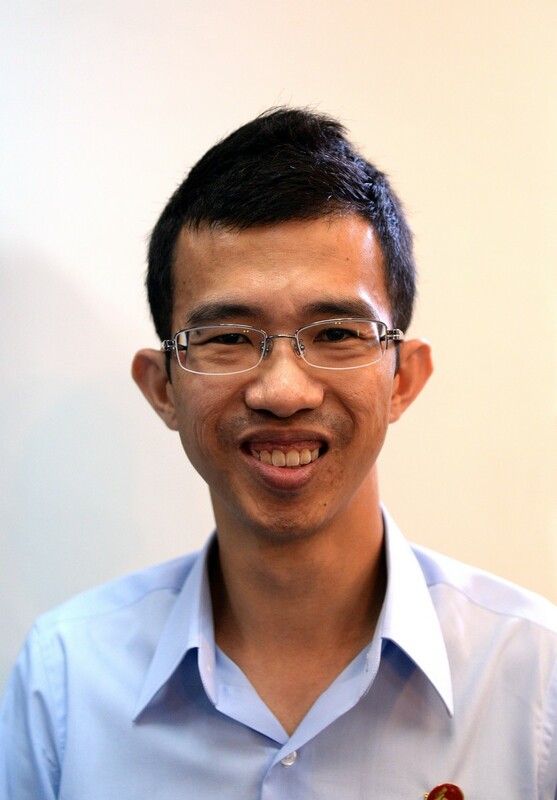 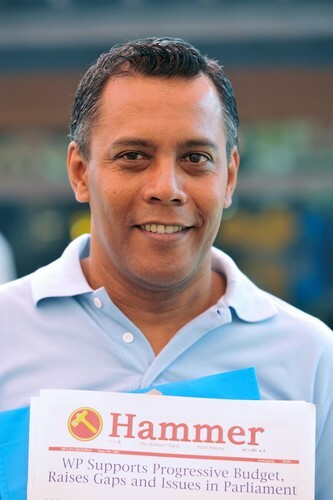 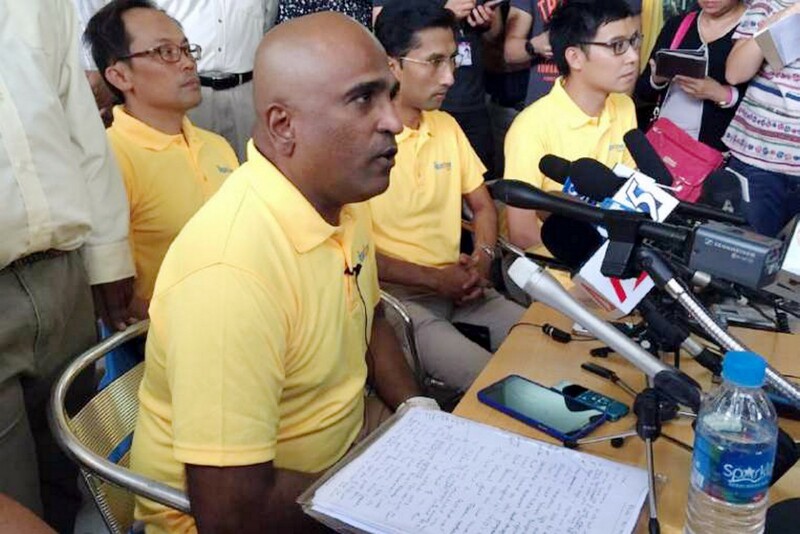 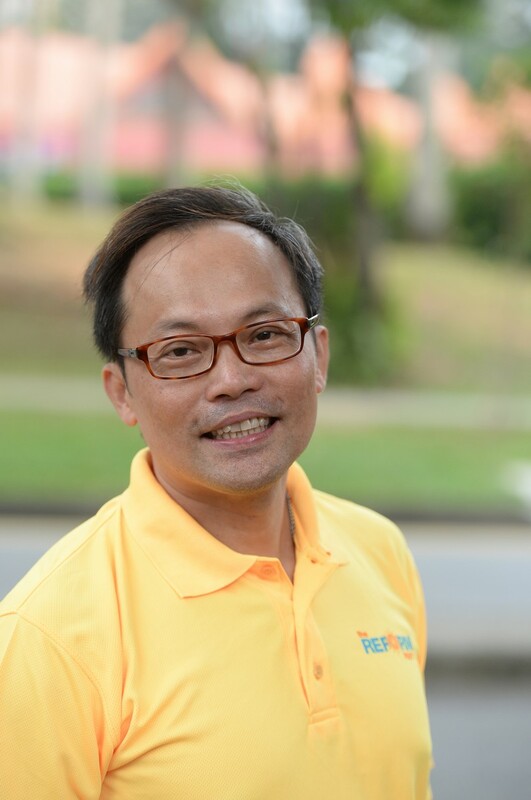 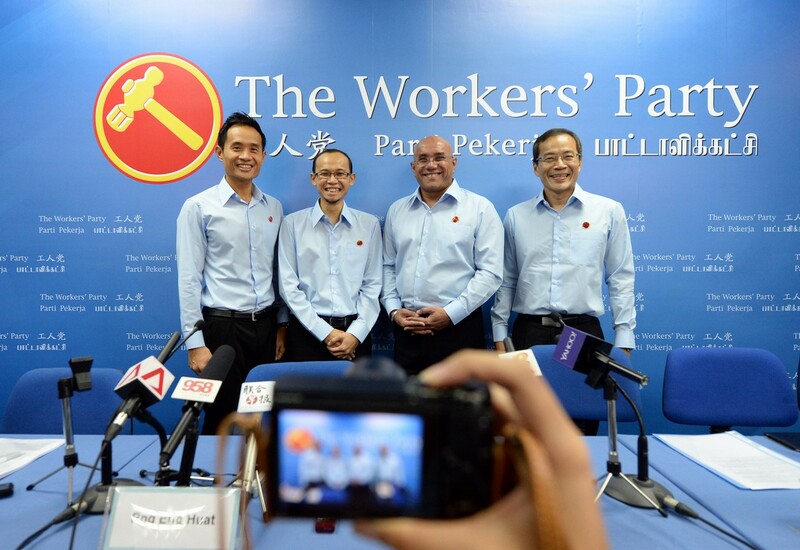 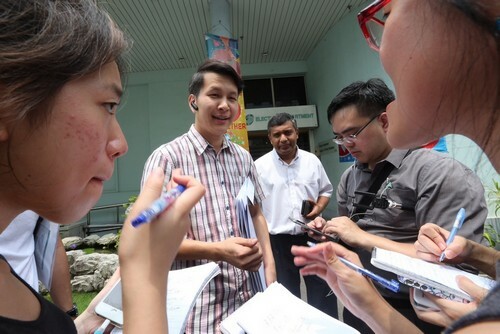 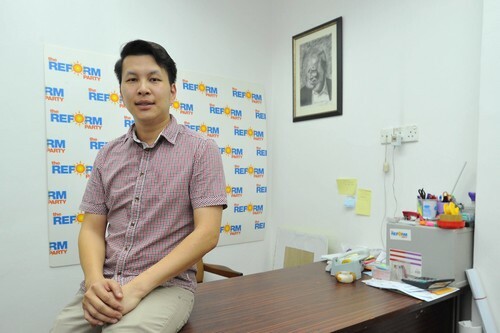 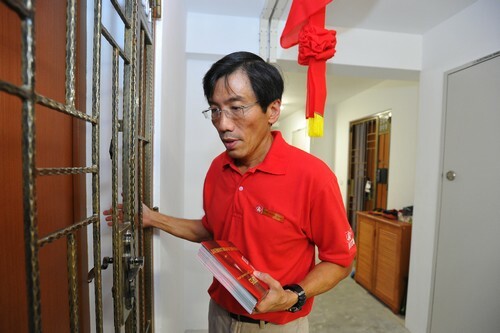 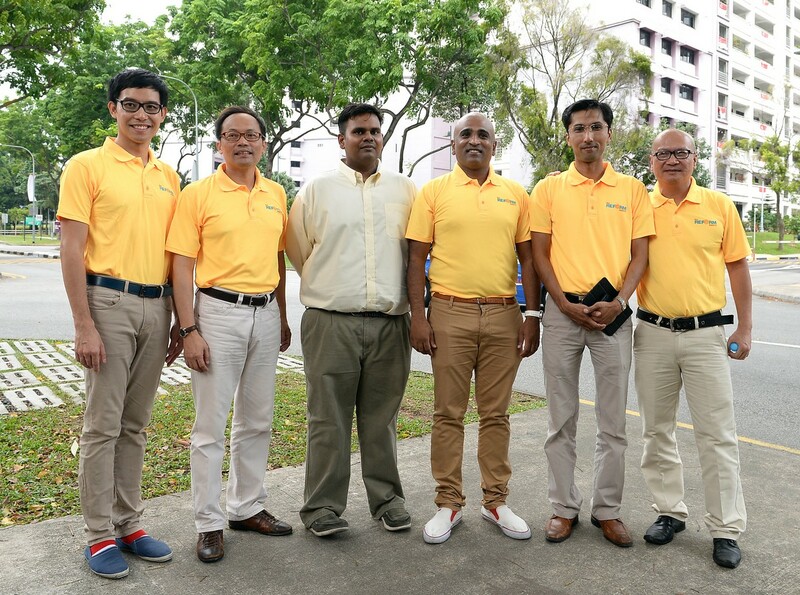 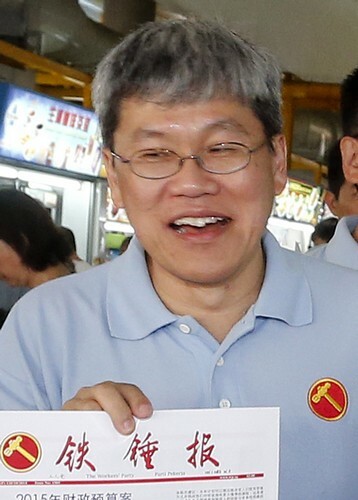 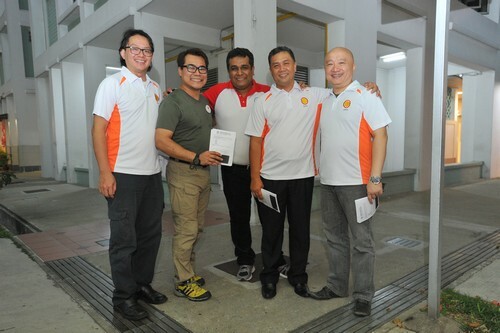 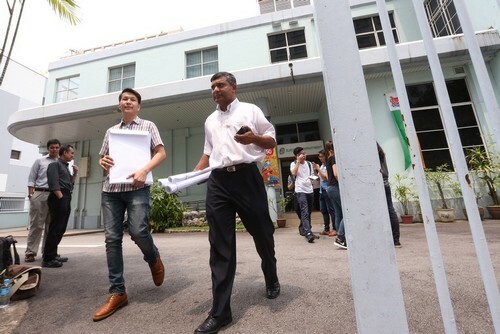 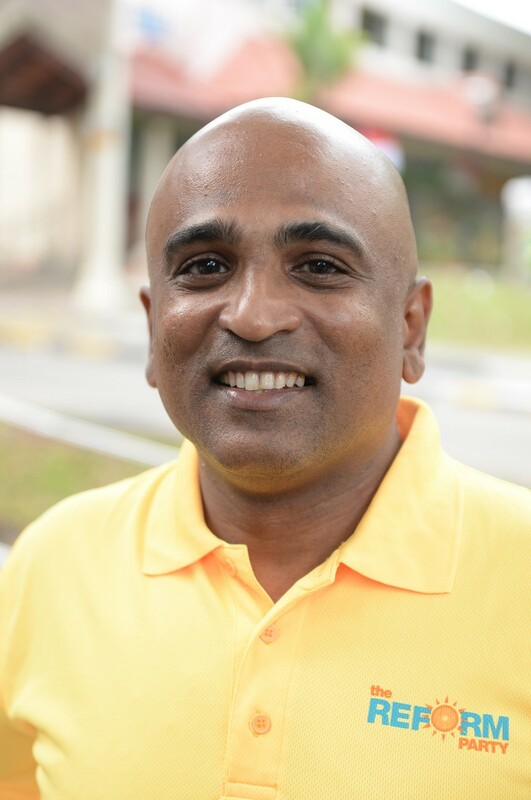 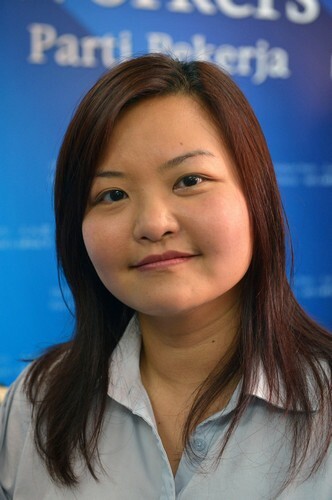 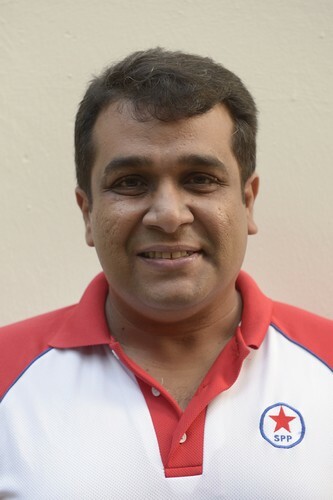 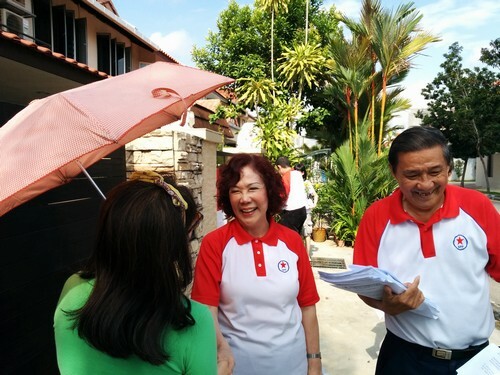 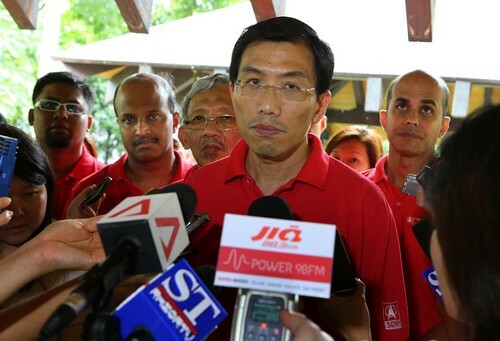 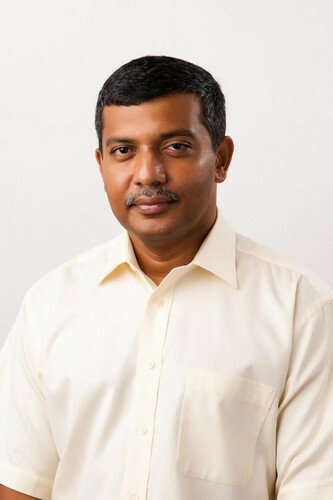 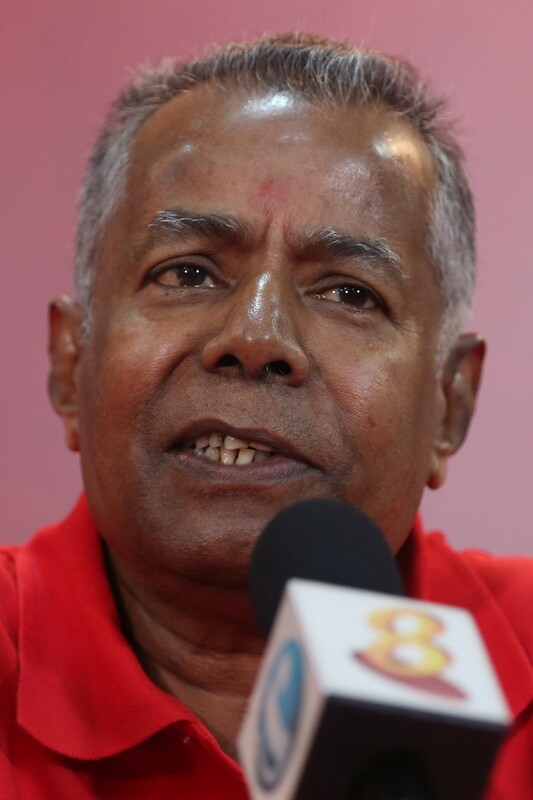 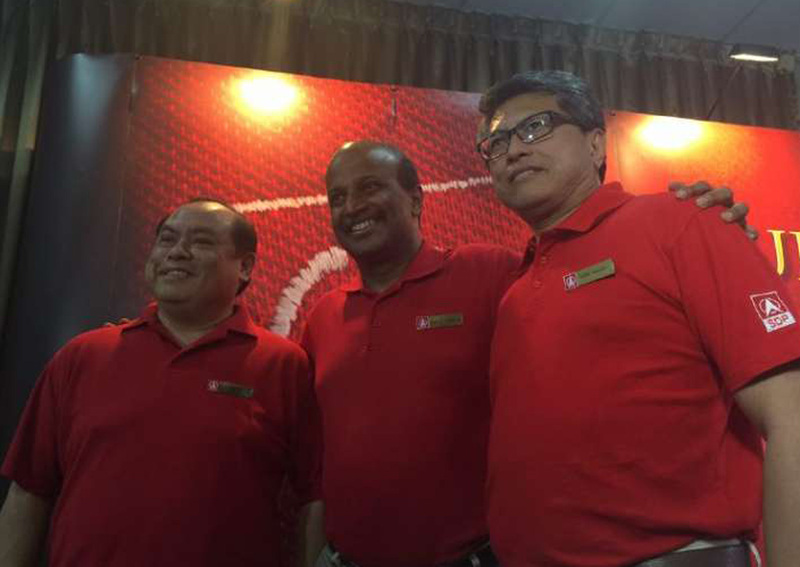 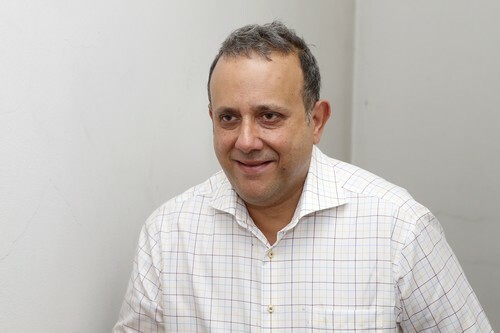 The WP has said it will be fielding 28 candidates in five GRCs and five single-seat wards. 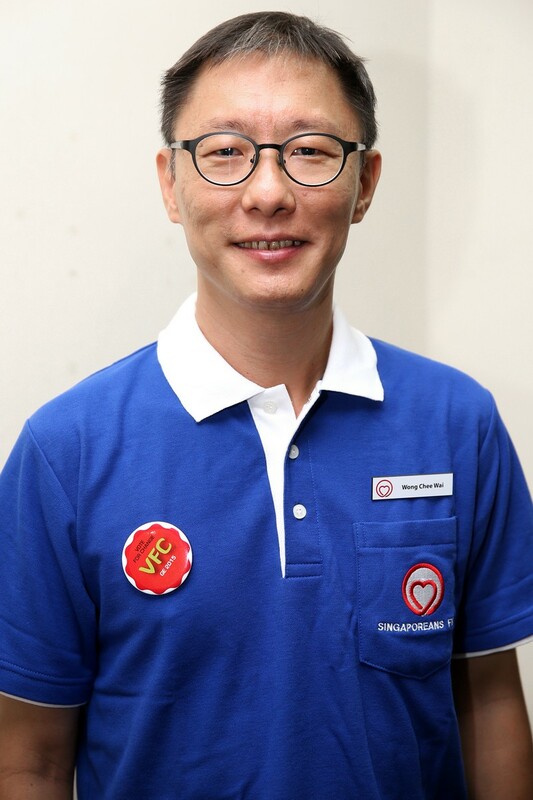 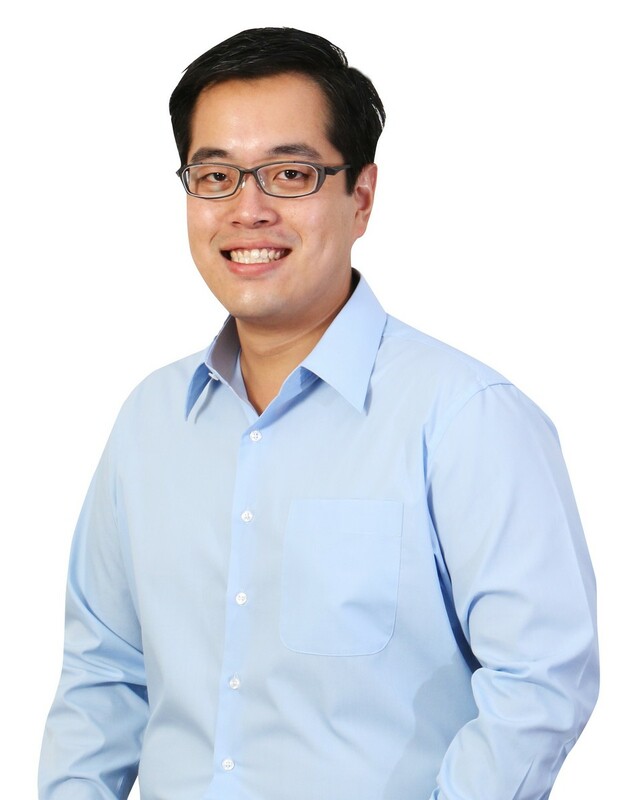 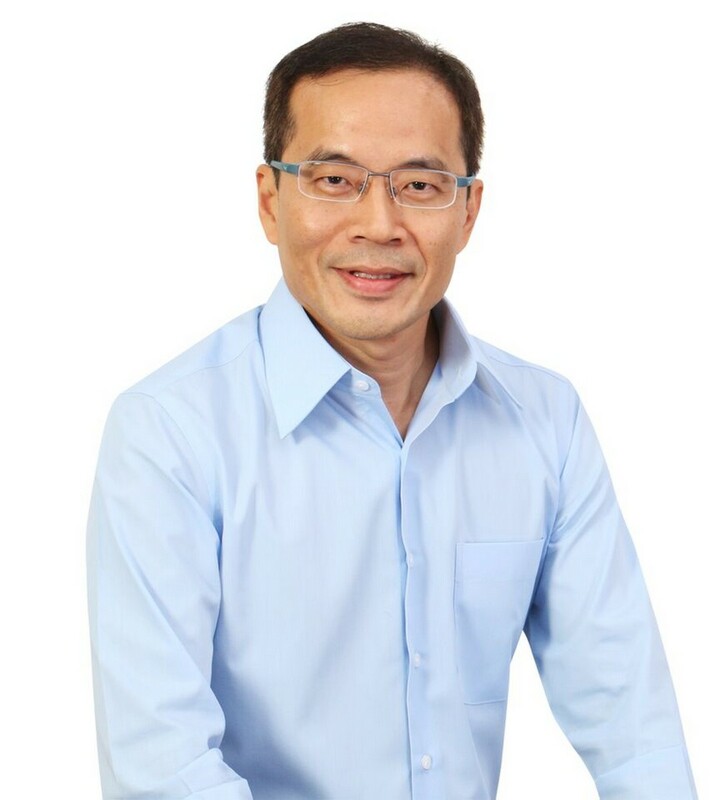 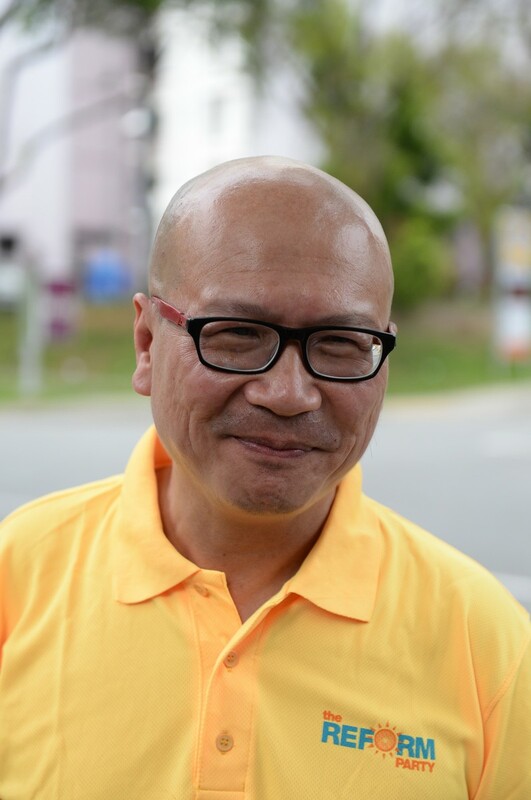 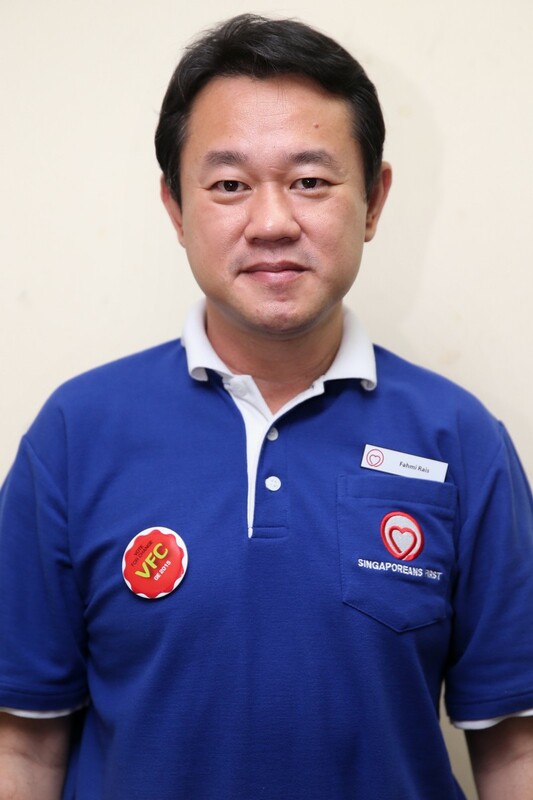 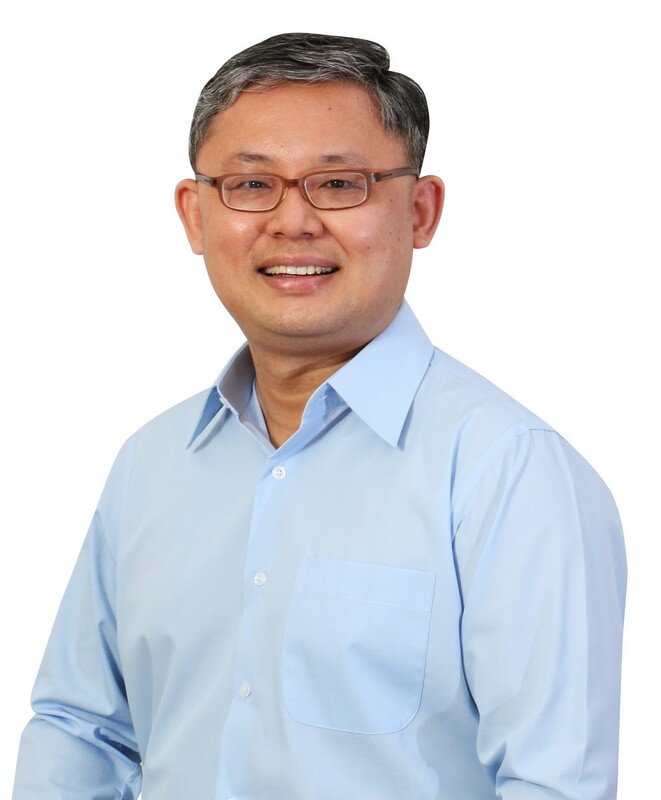 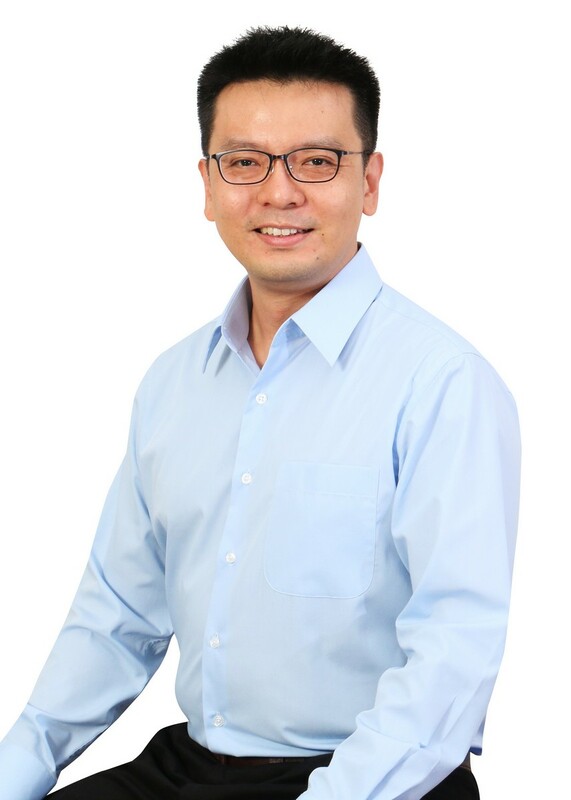 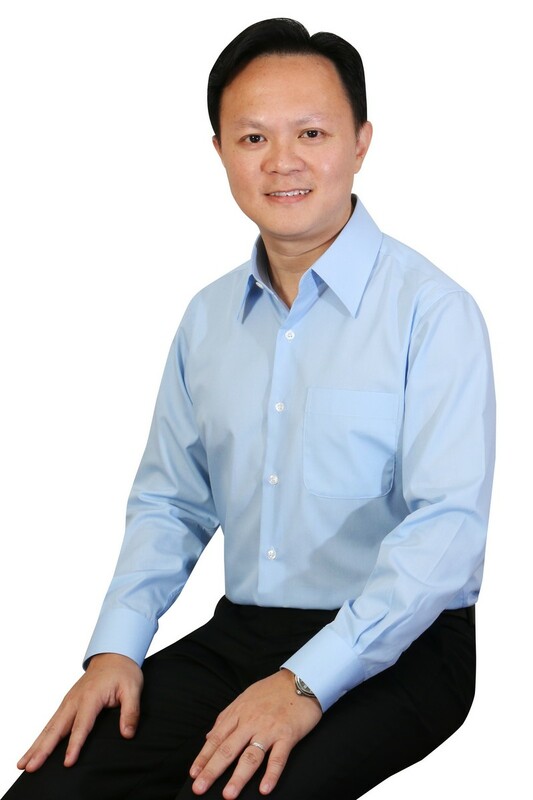 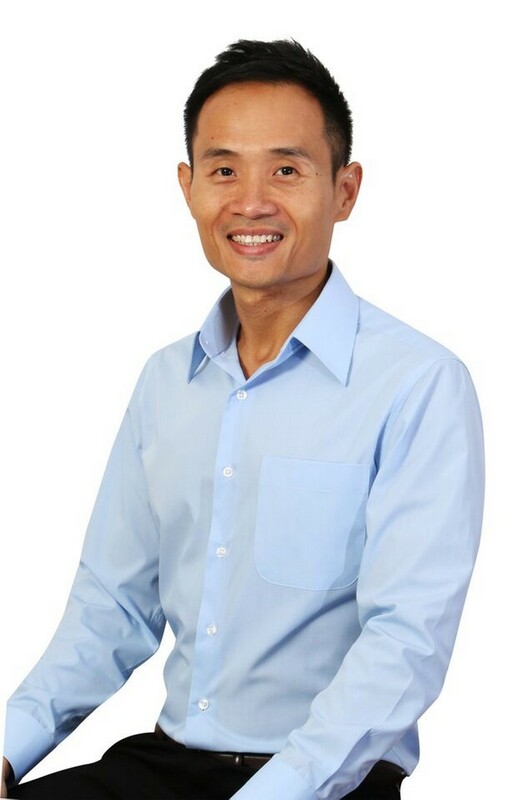 The candidates include the seven incumbent MPs from Aljunied GRC, Hougang and Punggol East SMCs, and two Non-Constituency MPs Gerald Giam and Yee Jenn Jong. 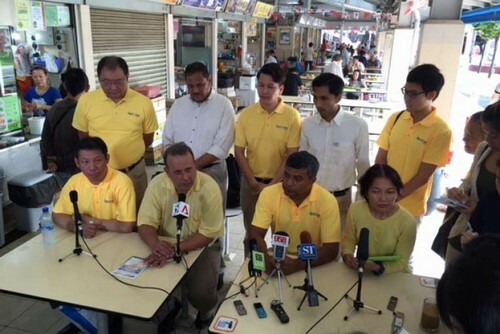 Eight candidates have been introduced so far, meaning 11 candidates have not been formally introduced. 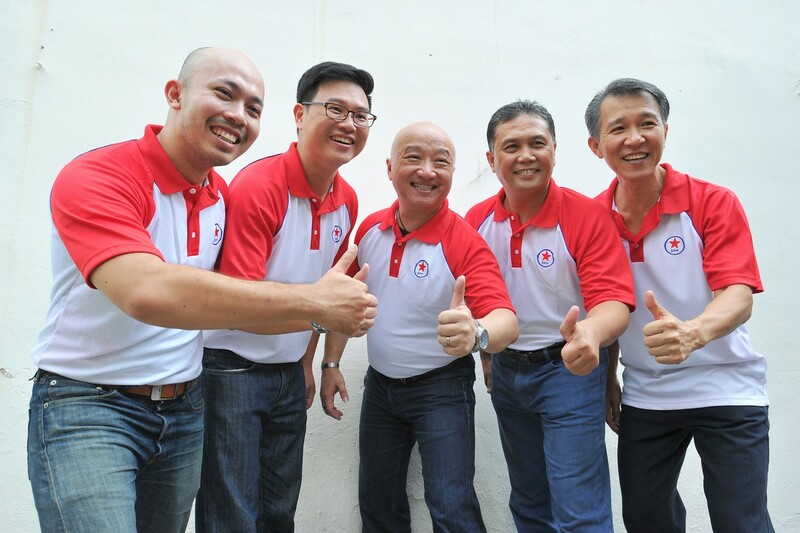 The party will unveil another batch of political hopefuls today.